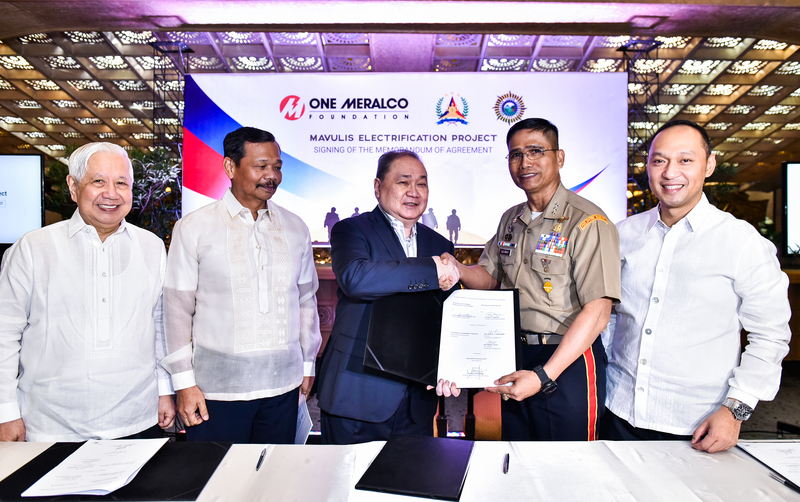 To help address this problem, One Meralco Foundation (OMF), the corporate foundation and social development arm of the Manila Electric Company (MERALCO), pioneered in 2012 a program that energizes remote, off-grid public schools through solar photovoltaic technology. 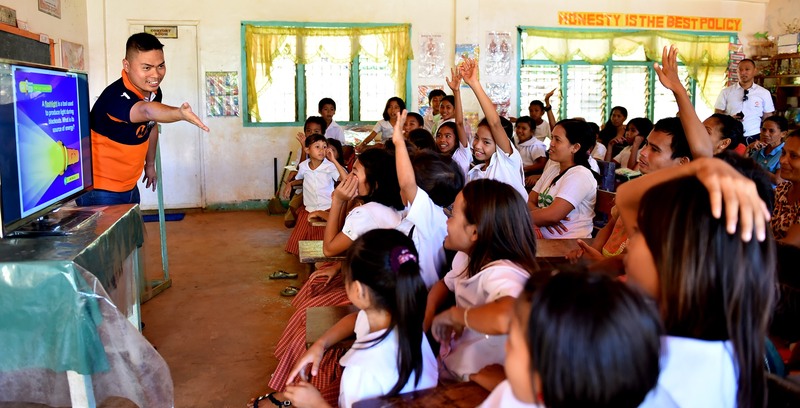 Since then, it has energized 120 schools in 21 provinces, including nine in Surigao del Norte namely Buenavista Elementary School, Juan P. Cedro High School, Libuac Elementary School, Alegria Elementary School, Alegria High School, Hinatuan Elementary School, Suyangan Elementary School, Suyangan High School and Halian Elementary School. These are among the 50 schools energized in 2015, the program’s highest since 2012. The schools are located in four different islands where no electrical facilities are yet in place. 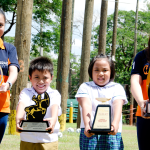 Each school was installed a 1-kilowatt peak solar photovoltaic system and received a multimedia package consisting of an LED TV, a laptop computer and a printer donated by Meralco employees. “Electricity is very much a part of daily life everywhere except in these far-flung communities. 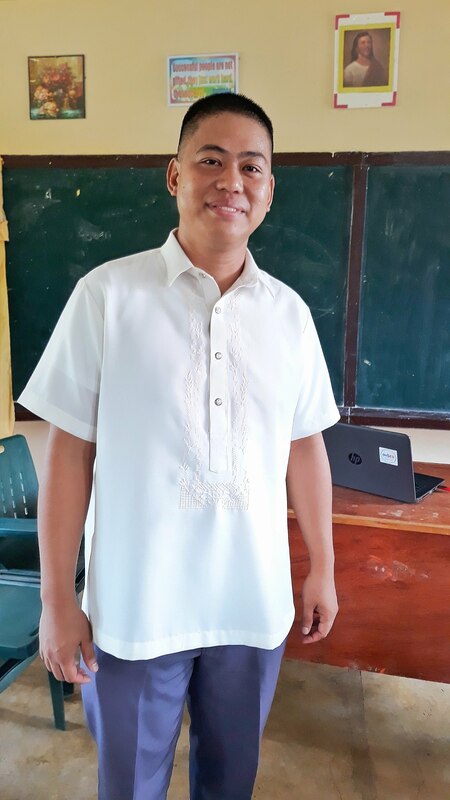 Those students who have access to it reap the benefits of technology and take advantage of modern learning tools but those who don’t fall behind and experience a hard time catching up on some lessons once they move on to high school or college,” explained Jeffrey O. Tarayao, President of OMF. Hinatuan Island located off the eastern coast of Surigao del Norte is rich in Nickel, a chemical element that is widely used in modern batteries. Ironically, the community that supplies tons of Nickel to produce batteries for energized cities do not have access to a stable supply of electricity. Majority of the residents here illuminate their homes at night using gas lamps or candles, while a few who can afford a fifteen-peso-per-day contribution tap into a sitio-owned generator operational only for four hours in the evening. Wenesa Paquiuag, 45, grew up without electricity at home. Her husband, who works as a contractual laborer earns about P250 per day, a meager income for a family of eight children. With no other source of income, Wenesa thinks it’s wiser to spend every peso she has on food and on her children’s education rather than on electricity. The housewife’s sixth child, Jane, is current a sixth grader at Hinatuan Elementary School and is vying for this year’s top academic honors. Jane hopes to become a teacher one day and she knows that it won’t be easy; a lot of things stand between her and her ambition. Continuing to senior high school means she would have to ride a ‘school boat’ every day to a public high school on nearby Talavera island and back. This means she will need more money for allowance. Also, Tavalera island is connected to the grid and its school is more ‘advanced’ and is equipped with computers. In contrast, Jane’s current school doesn’t have access to electricity and so her experience with technology is very limited. 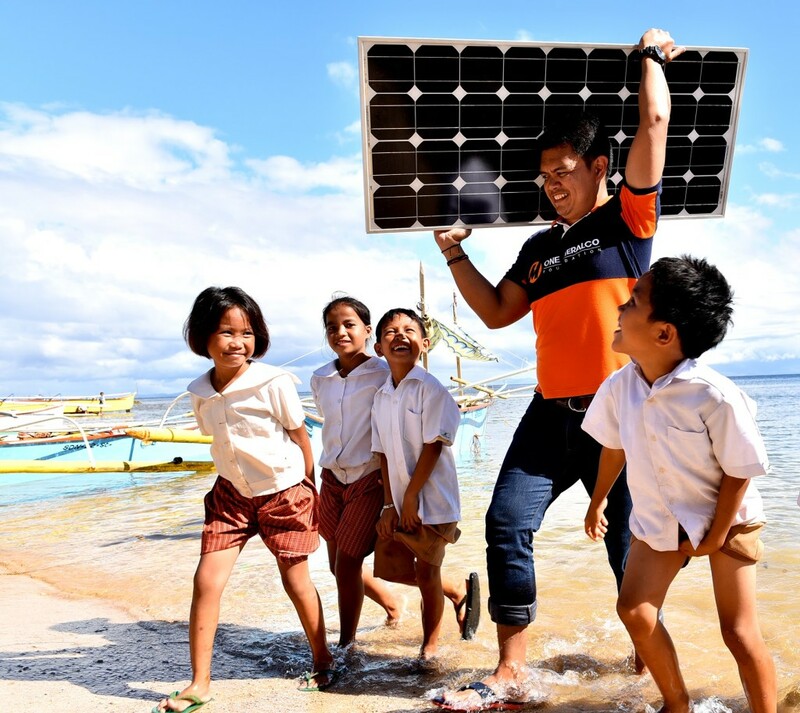 “More than just bringing light to classrooms, the primary goal of our school electrification program is to help students in unenergized communities catch up with the rest of the technologically developed world,” explained Tarayao. “Computers, the internet, multimedia learning and the like remain abstract ideas in the minds of students until they actually get to see or use them. By bringing electricity to these off-grid schools, we are opening the door for technology to come in,” he added.